If The Betrayer is able to commit to a story, he must commit to a story. 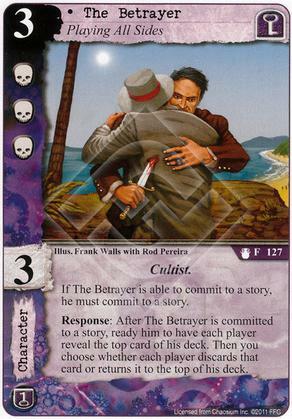 Response: After The Betrayer is committed to a story, ready him to have each player reveal the top card of his deck. Then you choose whether each player discards that card or returns it to the top of his deck.